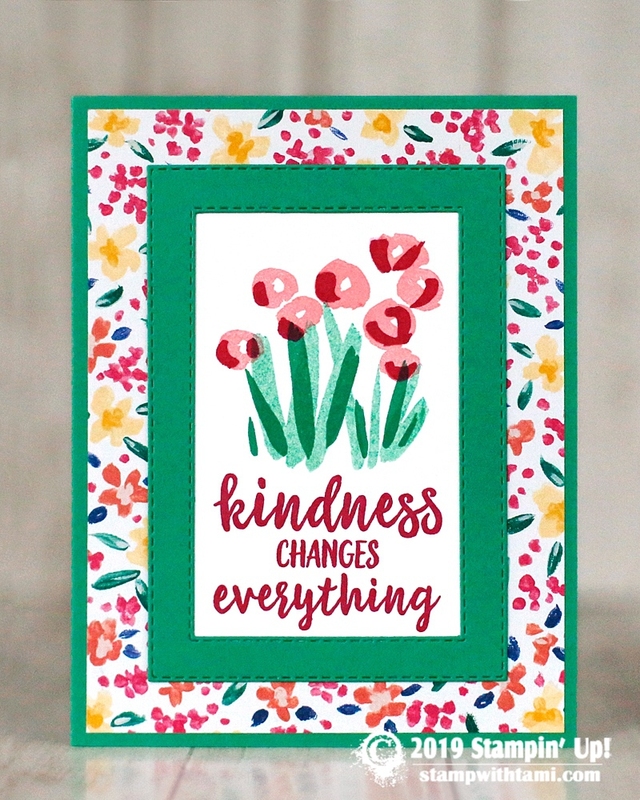 “Kindness changes everything” is a card that works for many occasions. Created with the Stampin’ Up Abstract Impressions stamp set. Layered with the new Stitched Rectangle dies. The designer paper comes from the Garden Impressions DSP. Lovely card…. I managed to make it even without any measurements listed. This was one of the most beautiful stamp sets from last years Occasions catalogue. Truly versatile. Thanks for sharing.